National Steak & Poultry (Owasso, OK) two days ago hugely widened the scope of its previous November 23rd recall to encompass a variety of ready-to-eat chicken products totalling nearly 992 tons. The initial recall had only covered around 9 tons of products, so this marks a gigantic expansion of affected ranges. According to a USDA Food Safety and Inspection Service (FSIS) report, the recall of the ready-to-eat chicken is due to adulteration from possible undercooking, resulting in the potential survival of bacterial pathogens in the products. The massive expansion of product ranges now included on the recall is detailed on an FSIS list here. 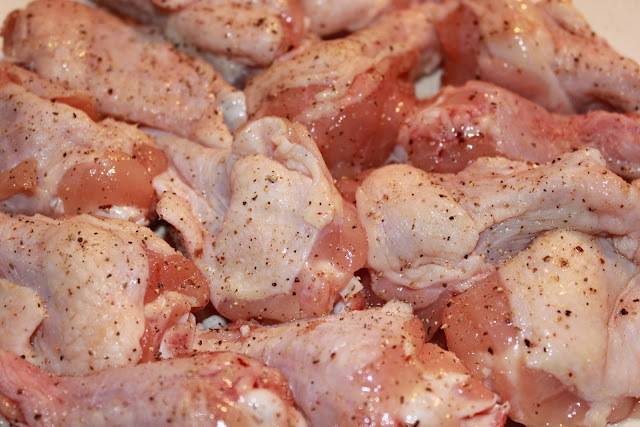 It includes an array of different products, mainly “cooked” chicken breast and rib meat. The cases of product that are subject to recall are all labelled with the code “P-6010T” in the USDA inspection mark, so any chicken products bought from National Steak & Poultry over a recent timeline should be checked for this code. They have been sold to food service locations across the US, as well as directly to consumers at the establishment’s monthly dock sale. The recent recall follows the discovery and reporting of undercooked meat by a food service customer, who complained to the establishment that that product appeared improperly cooked. There have thus far been no confirmed reports of any adverse health effects resulting from the undercooked chicken. Anybody concerned about potential illness should contact their healthcare provider. Consumers who have purchased affected product should return it to the place of purchase or dispose of it directly. National Steak & Poultry are located in Owasso, Oklahoma. They make, unsurprisingly, steak and poultry products, as well as pork products. According to their website copy, “National Steak & Poultry is on the cutting edge of new flavors and processing technologies to bring you the best raw & fully cooked chicken products available.” I think in this case the raw & fully cooked chicken products are supposed to be separate, rather than mixed up together. The company was also involved in another recall in Christmas 2009, involving 240,000 beef steaks for E. coli O157:H7 contamination. That case caused FSIS to change food safety regulation regarding blade-tenderisation.